Looking to get a quote online? Ready to apply? Please feel free to take advantage of the links below. If you have questions or require assistance, please contact us. (Contact information can be found on our Contact page). If you are an individual without employer provided insurance, (including but not limited to: self-employed, unemployed, starting your own business, young family, empty nesters or new to the area) you can buy quality health insurance for yourself, your spouse and your family. With the introduction of the Affordable Healthcare Act (Obamacare), you can no longer be disqualified for having a pre-existing medical condition. The rates you pay and the coverage you receive will be the same as everyone else on the same healthcare plan. Which provider and plan is best for you? The Prices you pay will be the same; in fact we can assist you with sign up process through the Healthplan Finder! Call today to arrange your free, no-obligation Healthcare Consultation. Employee Owned Benefits works with all of the individual healthcare providers in the states of Washington. We will discuss your healthcare history and budget to find the plans that best meet your needs. As your age, marital status, family size, health and/or employment status changes, we can help you transition to better-aligned plans. If you are eligible for Medicare by reaching the age of 65 and having paid into the system, or have a qualifying disability or medical condition, Employee Owned Benefits can help you navigate the series of decisions you need to make before Open Enrollment (October 15 through December 7). Some options include Original Medicare, Medicare Supplement (Medigap), Medicare Advantage, and Medicare Prescription Drug Plans. Please contact us to set up an appointment. A Medigap policy is health insurance sold by private companies that serves to fill the “gaps” in Original Medicare A & B. These policies help pay some of the health care costs that Original Medicare does not cover. If you are enrolled in Original Medicare and have a Medigap policy, each will pay its share of covered health services. A Medicare Advantage Plan is a type of Medicare health plan offered by a private company that contracts with Medicare to provide you with all your Part A and Part B benefits. Medicare Advantage Plans include Health Maintenance Organizations, Preferred Provider Organizations, Private Fee-for-Service Plans, Special Needs Plans, and Medicare Medical Savings Account Plans. If you’re enrolled in a Medicare Advantage Plan, Medicare services are covered through the plan and aren’t paid for under Original Medicare. Most Medicare Advantage Plans offer prescription drug coverage, and many help to pay some of the health care costs that Original Medicare does not cover. Medicare Prescription Drug Coverage, also known as Part D, is available to be purchased on its own if it is not been purchased through a Medicare Advantage plan. These plans are offered by private insurance companies. Each must have coverage at least as good as is required by Medicare, but can vary by cost-sharing and premiums. Not every person or every family needs rich benefits. In such cases, catastrophic medical coverage might be a better fit. After your deductible has been met, the plan starts sharing some of the costs with you. Catastrophic plans usually have lower premiums than comprehensive plans, but are meant to protect you from worst-case scenarios like serious accidents or illnesses. Short term health insurance plans provide you with coverage for a short period of time, and may be the ideal solution to protect you from a worst-case scenario while you are between jobs or are waiting for other health insurance to start. Maximize your subsidy! 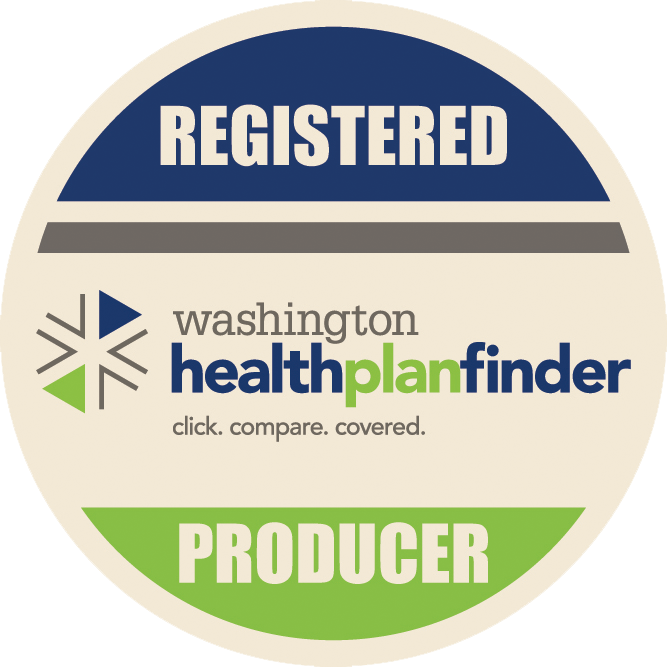 Employee Owned Benefits is certified to help you navigate the Washington State Health Plan Finder and find the best plan to meet your needs and budget. If you anticipate major medical expenses, a Health Savings Account allows you to save for and pay for them with pre-tax contributions. We can help you see if this strategy is right for you and match you to the qualified plan that best fits your needs. In addition to HSAs, you might want to consider an HRA (Health Reimbursement Plan) in conjunction with an HDHP (High-Deductible Health Plan) to offset major medical expenses. We can help you compare plans and costs to determine which ones are right for you. A vision plan fills the gaps from most standard medical insurance policies. Benefits vary by plan and can include annual vision checkups, ophthalmologist visits, prescription eyewear and LASIK laser eye surgery. Dental insurance can cover bi-annual cleanings and x-rays and offset the cost for dental procedures including fillings, crowns, bridges, dentures and braces. Life Insurance can provide essential living income for family and loved ones in the event of your untimely passing. Some policies also offer living benefits, like helping you supplement your retirement income. We can help you properly plan for your future by matching you to the policy or policies that fit your budget and needs. Supplemental disability insurance protects you and your family should an injury or illness keep you from working for a short or long period of time. When your income stops, this insurance kicks in to help you pay your rent or mortgage and other key living expenses. Many Americans are outliving their retirement savings. Long Term Care insurance, paid for by the insured or as a gift from loved ones, helps offset living expenses (food, housing, transportation) and eldercare expenses (caregiver assistance, medicine, physical therapy, etc.). 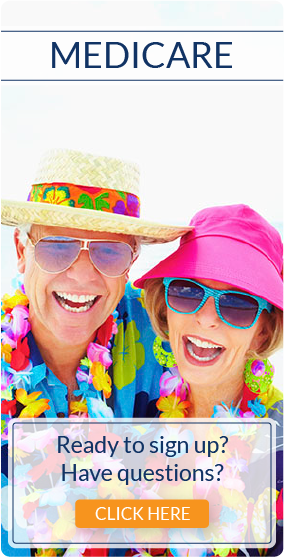 Annual testing, hearing aids and related expenses are not covered by many policies. We can help find the perfect supplemental coverage to ensure these services are affordable if and when you need them.